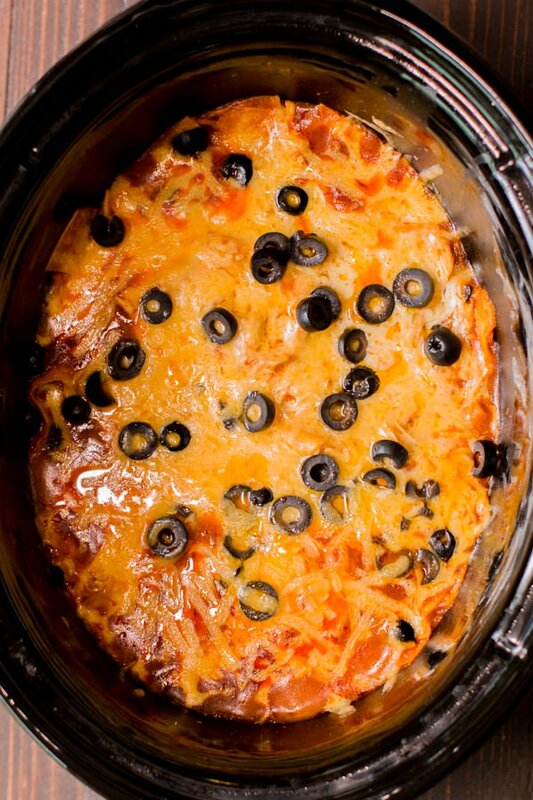 – Put the chicken bosoms and the enchilada sauce in your moderate cooker. – Cook on HIGH for 4 hours or LOW for 8 hours. – Shred the chicken with 2 forks right in the moderate cooker. – Slice the tortillas in to strips, add to chicken and sauce. – Include 1 measure of cheddar and a large portion of the olives into the sauce and chicken blend. – Smooth the blend marginally. – Include whatever remains of the cheddar and the olives to finish everything. – Cook on low for around 40 – a hour longer.